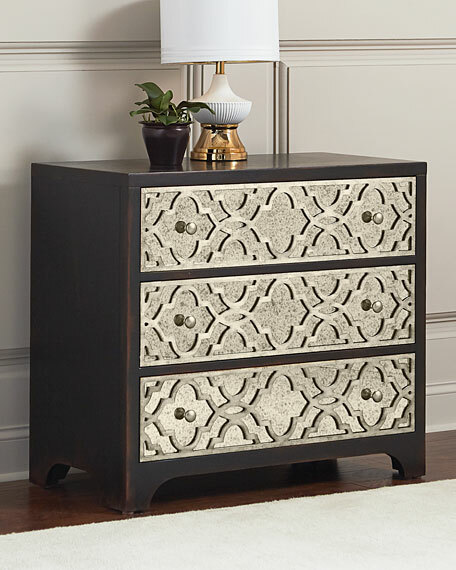 This lovely three-drawer chest can add sparkle to any room or be the perfect bedside option. 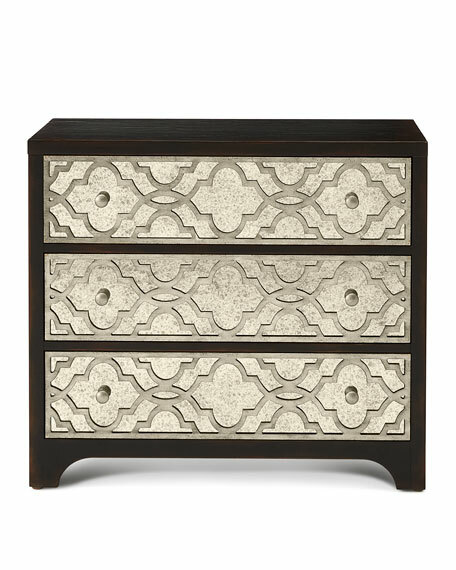 The drawer fronts feature a pattern in a champagne finish overall on antiqued mirror glass. The overall ebony finish has rub through and hand distressing to provide an authentic look and feel. Silver/gold wood fretwork over antique mirror drawer fronts. Rubberwood and hardwood solids with white oak veneers. 36"W x 19"D x 32"T.